Magical Urban Fantasy Reads: What's New? Publisher's summary: There's something strange and deadly loose in Philadelphia. . . . Publisher's summary: Evie's paranormal past keeps coming back to haunt her. A new director at the International Paranormal Containment Agency wants to drag her back to headquarters. The Dark Faerie Queen is torturing humans in her poisonous realm. And supernatural creatures keep insisting that Evie is the only one who can save them from a mysterious, perilous fate. Publisher's summary: Jason Bourne meets The Sopranos in this breathtaking adventure. 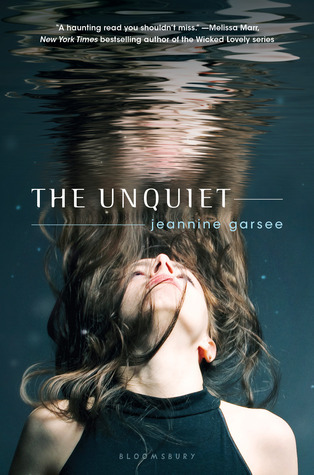 Sara Jane Rispoli is a normal sixteen-year-old coping with school and a budding romance--until her parents and brother are kidnapped and she discovers her family is deeply embedded in the Chicago Outfit (aka the mob). Now on the run from a masked assassin, rogue cops and her turncoat uncle, Sara Jane is chased and attacked at every turn, fighting back with cold fury as she searches for her family. It's a quest that takes her through concealed doors and forgotten speakeasies--a city hiding in plain sight. Though armed with a .45 and 96K in cash, an old tattered notebook might be her best defense--hidden in its pages the secret to "ultimate power." It's why she's being pursued, why her family was taken, and could be the key to saving all of their lives. Publisher's summary: It’s been more than ten years, a dozen installments, and hundreds of thousands of copies since Kelley Armstrong introduced readers to the all-too-real denizens of the Otherworld: witches, werewolves, necromancers, vampires, and half-demons, among others. And it’s all been leading to Thirteen, the final installment, the novel that brings all of these stories to a stunning conclusion. A war is brewing—the first battle has been waged and Savannah Levine is left standing, albeit battered and bruised. She has rescued her half brother from supernatural medical testing, but he’s fighting to stay alive. The Supernatural Liberation Movement took him hostage, and they have a maniacal plan to expose the supernatural world to the unknowing. Uniting Savannah with Adam, Paige, Lucas, Jaime, Hope, and other lost-but-notforgotten characters in one epic battle, Thirteen is a grand, crowd-pleasing closer for Armstrong’s legions of fans. Publisher's summary: For millennia we’ve caught only glimpses of the lives and loves of the gods and goddesses on Olympus. Now Aimée Carter pulls back the curtain on how they became the powerful, petty, loving and dangerous immortals that Kate Winters knows. Five original novellas of love, loss and longing and the will to survive throughout the ages. After a desperate escape from the enemy ship, Waverly has finally made it back to the Empyrean. The memory of home has been keeping her alive for the past months… but home is nothing like she left it. Forced to leave their captive parents behind on the New Horizon, she’s returned only to find that Kieran has become a strict leader and turned the crew against Seth. What happened to the Kieran she thought she knew? Now Waverly’s not sure whom she can trust. And the one person she wants to believe in is darkly brilliant Seth, the ship’s supposed enemy. Waverly knows that the situation will only get worse until they can rescue their parents – but how? Before they have time to make a plan, an explosion rocks the Empyrean, and Seth and Waverly are targeted as the prime suspects. Can they find the true culprit before Kieran locks them away… or worse? Will Waverly follow her heart, even if it puts lives at risk? Now more than ever, every step could bring them closer to a new beginning – or a sudden end. Publisher's summary: A psychological thriller starring a teen who sees ghosts--both real and imagined. When Rinn Jacobs moves to a new town she hopes it will be a fresh start. At first, everything goes according to plan. She falls in with the popular girls at her new school and falls for the very cute boy-next-door Nate. But River Hills High School has a secret. The ghost of a girl who died back when Rinn's mom was a student supposedly haunts a hallway. Rinn's not sure she believes it, but when strange things start happening to her friends, Rinn decides there's only one way to know for sure. She needs to ditch her bipolar meds and see what the voices are really trying to say. . . . Fans of films like Black Swan and books like Lisa McMann's Cryer's Cross will be fascinated by this portrayal of a teen descending into madness. Great releases this week! I may have to snag a copy of Something Strange & Deadly, heard that one was awesome. I'm reading Endlessly right now---will be sorry to finish this one, it's been a fun series! I'm excited about Endlessly especially because I'm going to a signing from White this week-now I'll have autographed copies of all the books! 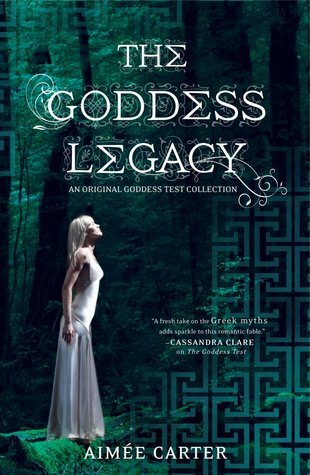 I really need to get the rest of the Goddess books, only have read the 1st one. I'm so behind! I'm going to be starting Cold Fury soon, any day now. CAn't wait to read Endlessly, so sad for the series to come to an end but I can't wait to read it.